Call Loop specializes in SMS and voice technology that lets companies create and send voice broadcasts, SMS marketing campaigns, alerts, notifications, and reminders.Send mass texts, appointment reminders, send coupons, create SMS contests, and setup voice & SMS autoresponders to drive sales. Call Loop is an SMS Marketing & Voice Broadcasting For Business solution. 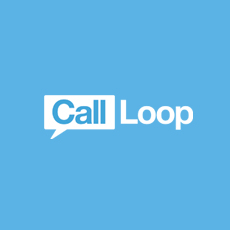 With Call Loop, it's easy to create and send voice broadcasts, SMS marketing campaigns, alerts, notifications, and reminders. Send mass texts, appointment reminders, send coupons, create SMS contests, and setup voice & SMS autoresponders to drive sales. For reliable voice broadcasting, just record a voice message, set your send day and time, and Call Loop will deliver it to a few, hundreds, or tens of thousands of contacts in minutes.